This is a very unique halo diamond engagement ring. 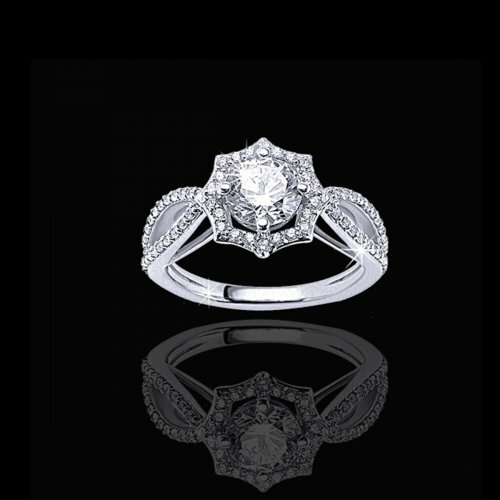 The center stone is a natural enhanced,.65 carat center round brilliant cut diamond. This diamond has a clarity of SI1 and a color of E. Surrounding the center diamond and going down the shank are 58 full cut fiery diamonds, VS2 clarity, F color. Beautifully set in 14kt white gold.